I spent a turbulent year in Turkey, but only twice did I fear that my luck had run out. Once was when a policeman pulled me over for driving the wrong direction on a one-way street in the Mediterranean town of Bodrum. But instead of a citation, he redirected the honking traffic so I could escape the mess I created. Doug Van Hoewyk poses along the Turkey’s Turquoise Coast, near where he was twice pulled over by the same police officer. The other instance was five minutes later when the same policeman pulled me over again, this time to ask me if I needed help or directions. 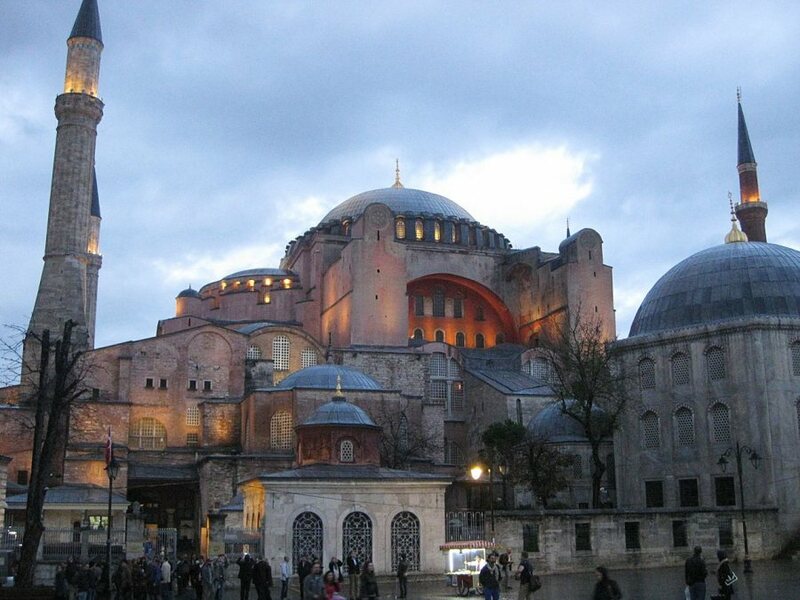 Turkish hospitality — I had read about it online but experiencing it proved to be different. 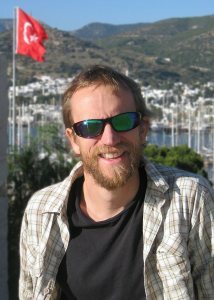 I’m a biology professor at Coastal Carolina University, and a Fulbright Scholar award supported my recent year in Turkey. During my year abroad, I gave 12 guest lectures at various middle schools and universities around the country, traveling from the European side of Istanbul to within 20 miles of the Syrian border in southeastern Turkey. But I spent most of my time in the capital city of Ankara, where I worked at Ankara University with collaborators from three departments. Our interdisciplinary project investigated rare Turkish plants that can accumulate high levels of nickel, with the goal of identifying how these plants tolerate stress in an unfavorable environment. The plants we studied, appropriately termed “nickel hyper-accumulators,” can store up to 3 percent of their weight in nickel, an amount that would be lethal to all other organisms on the planet. On a global scale, Turkey has the greatest abundance of nickel hyper-accumulating plants. Many of these plant species are endemic to Turkey and endangered, as well. Luckily, the plant populations that I visited were in idyllic settings: near the Mediterranean Sea, archeological sites, and olive groves. My three children, my wife — who taught French and English during our stay — and I arrived in Turkey in August 2015 at the start of the third phase of the Turkish-Kurdish conflict between the government and PKK terrorists. Almost a year later, amidst increasing instability, we departed from Istanbul’s international terminal where there had been a terrorist attack only 48 hours previously. The scientific journey that brought me to Turkey was trivial compared to that taken by the refugees in Turkey. My children, ages 4, 6, and 9, saw Syrian kids their age without any shoes in the winter. My children bought the packets of tissues that the refugees sold. 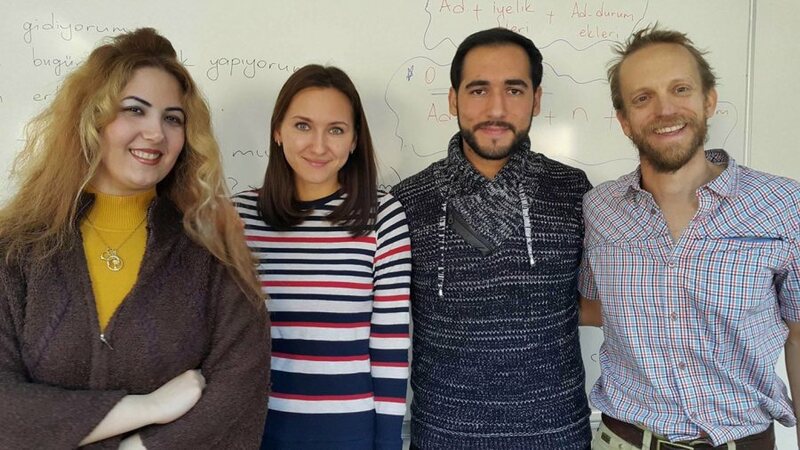 Doug Van Hoewyk ’98 (right) poses with Az Ade, Nina, and Mohanad, friends from Iran, Russia, and Syria, respectively, whom he met in his Turkish language class while in Turkey as a Fulbright Scholar. The refugee crisis is inescapable in Turkey, but not all of the four million to five million refugees are Syrian or poor. They come from all over the Middle East, and some were my classmates; together we learned Turkish four hours a day. We became friends; several were doctors or had advanced degree. We played soccer and drank the same beer after class, and we had similar views. Namely, we saw the need for tolerance and identity but had concern about mixing politics with religion and nationalism. Contrary to American media coverage, on the whole Ankara was still safe. I continued to walk the streets late at night, go to cafes and music clubs, and ride the Metro; gun violence was also significantly less common than in America. But the news coverage was hard to ignore. At least 450 people in Ankara had been recruited by ISIS. Increasingly there were alerts from the U.S. embassy that the PKK and ISIS terrorist groups were potentially targeting foreigners in my neighborhood. And there had been three bombings in Ankara in less than eight months (one of which shook my apartment) that killed more than 150 people. In response to the instability, the U.S. government ordered dependents of military members stationed in Turkey to return to America. We stayed because we deemed Ankara and most of Turkey safe enough to stay. We decided that the possibility of harm — which caused the stress — was not high enough to alter our nice lifestyle and warrant leaving. Rather than obsessing on terror and what might happen, we coped with stress by focusing on what our unique opportunity was providing and teaching us. The culture and history provided a stimulating environment, food was fresh and delicious, and my children were adjusting well at their schools. I was learning how to cure fresh olives that I picked from trees and how to play the bağlama (a traditional stringed instrument). I was also developing friendships and collaborations, coaching a youth soccer team, and trying to keep up with Turks on my soccer team. At a time in America when there was debate about barring Muslims from entering the country, my kids played and went to school with Muslim Turks (90 percent of their school population was Turkish). My children and the neighborhood kids had the freedom to play (unsupervised!) and walk to nearby markets, and it was exciting to hear them talk in Turkish to their friends. There is something liberating about being in a society not obsessed with risk aversion or liability. Where else could one find an unattended 50-foot climbing wall in a public park?